One of the best places in Central America for a rainforest tour, Costa Rica is a top performing country for environmental policies. 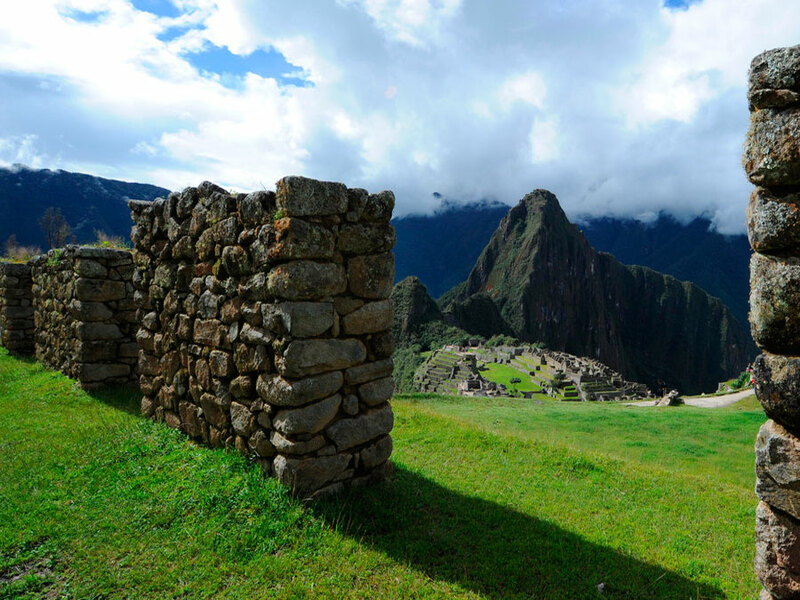 Over 25% of its forests are under protection in national parks and reserves. Although a small country in Central America, Costa Rica is also home to 5% of all species on Earth. The wildlife you can see on rainforest lodge tours is incredible. With skilled guides, you can find colorful parrots, toucans, several different monkeys, delicate tree frogs, hummingbirds, beautiful orchids and tall rainforest trees. Combined with the different comfortable and luxury lodges, this make it a fantastic destination to visit for nature lovers, adventure enthusiasts or simply for a family vacation or romantic getaway. We will mention our selection of favorite multi-day package tours in Costa Rica’s lowland rainforest and cloud forest. But first, let’s have a closer look at some of Costa Rica’s environments and protected areas. The lowland rainforest offers a hot and humid environment full of animals and plants. Some favorite protected areas are the Corcovado National Park and the Tortuguero National Park. Corcovado is well known for having a high concentration of monkeys, birds, tapir and even jaguar. Tortuguero offers different monkeys, birds and a great place for seeing nesting and hatching sea turtles. 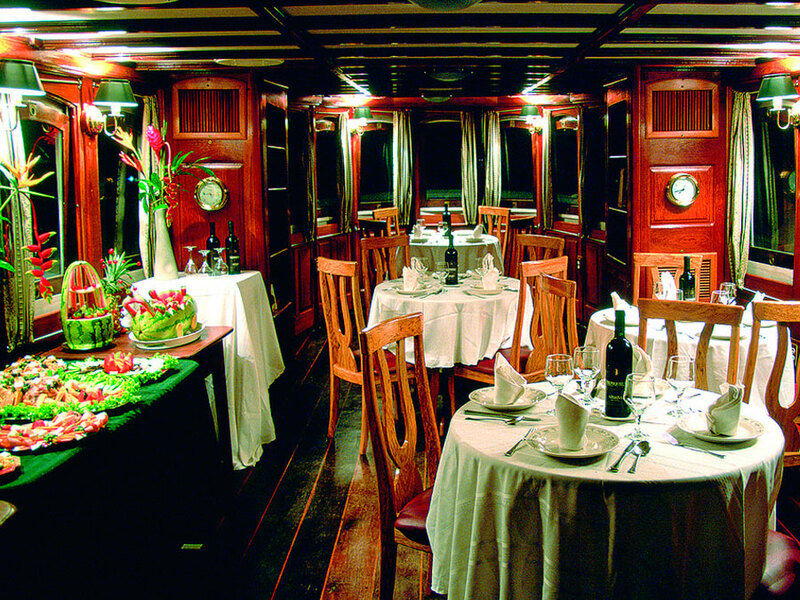 To experience the rainforest, you can choose comfortable or luxury experiences. 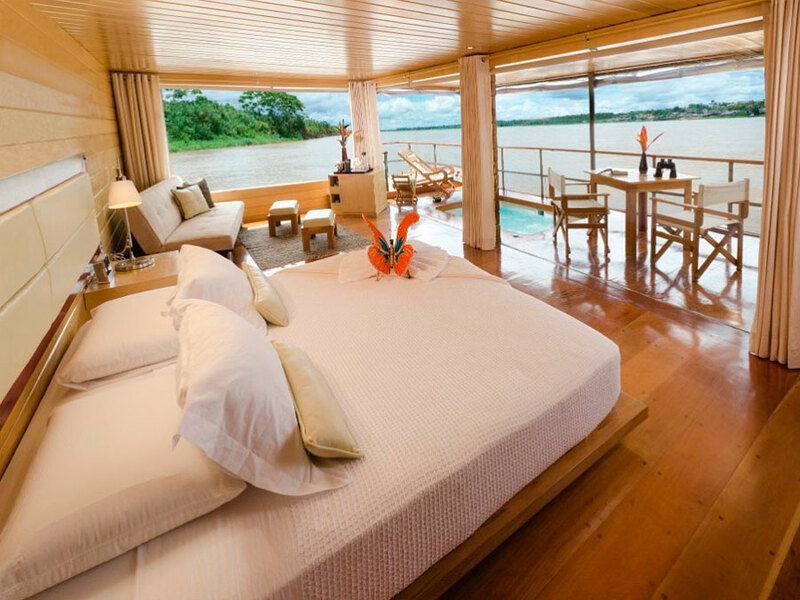 Luxury options include Lapa Rios or Pacuare Lodge package tours to include your lodge transfers, luxury accommodation, rainforest tours led by naturalist guides and delicious meals. 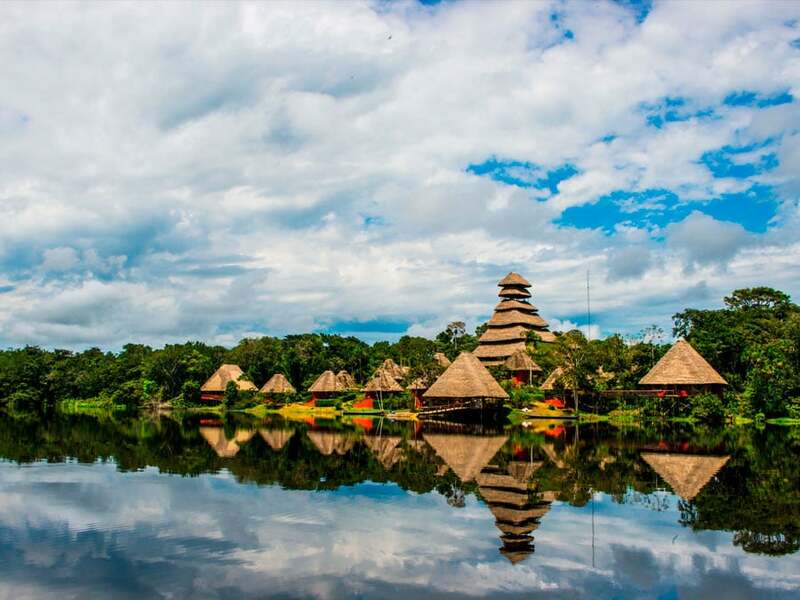 You can also choose comfortable lodges that offer a more homely experience and adventurous activities, such as the Playa Nicuesa Rainforest Lodge and Tortuga Lodge. Let’s have a closer look at some favorite protected areas in the lowland rainforest and cloud forest regions of Costa Rica. After each, we will provide some recommended lodges to experience the area as an example of Costa Rica rainforest tours. The Corcovado National Park is one of the favorite areas to visit in Costa Rica. This is often regarded as the jewel in the crown of Costa Rica’s rainforest and is the largest park in the country. Corcovado stretches across 400 square kilometres (150 square miles) of wildlife-rich tropical forest. The Corcovado National Park protects one of the world’s largest regions of primary tropical forest. You can find a good population of many iconic animals, including Baird’s tapir, jaguar, puma, harpy eagles, spider monkeys, sloths, and poison dart frogs. There are also many different colorful and interesting birds. Within the park boundary, you can find over 400 different birds, including macaw parrots, toucans, hummingbirds, and many more colorful species. La Paloma Lodge offers an experience of Corcovado National Park and Costa Rica’s rainforest. Led by naturalist guides, head out from the comfortable lodge to find a diversity of fascinating animals and plants. Explore the lodge’s 14-acres of tropical forest and the Corcovado National Park itself. 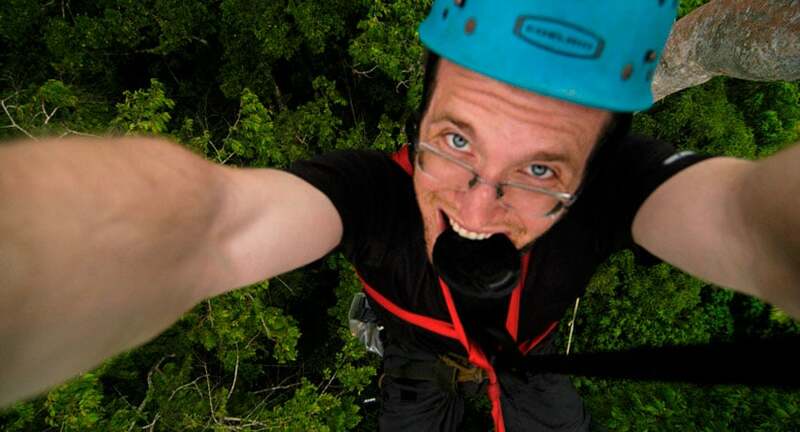 Enjoy guided tours to find sloths, macaw parrots, toucans, monkeys and tall rainforest trees. The lodge itself offers 7 bungalows with 4 rooms and a private beach house. Enjoy beautiful views of the Pacific Ocean and surrounding forest. Even while back at the lodge, you can see a variety of different animals. Guests frequently see monkeys, parrots and toucans in the trees near the lodge and even from their accommodation. In addition to exploring the forest, you can enjoy the nearby Caño Island to snorkel the water and see many tropical fish or simply to relax. The Tortuguero National Park is another favorite protected area in Costa Rica. Located towards the north of the country, the park is very remote and can only be reached by boat or by plane. Set on the coastal zone of Costa Rica’s wetlands, there are many different ecosystems within the park, including mangrove forests, rainforest, and beautiful beaches. The park protects the nesting area of different sea turtle species, including leatherbacks, loggerheads and hawksbills. These have given the protected area it’s name. You can see egg laying turtles climb the beaches between February and July. In addition to the nesting turtles, within the park you can find a diversity of animals and plants. The park provides habitat for manatees, crocodilians, sloths, jaguar, several different monkeys and hundreds of birds. The Tortuga Lodge is the lowland rainforest sister lodge of the Monteverde Lodge above and offers an experience of the Tortuguero National Park and Tortuguero Village. Choose from different rooms at the Tortuga Lodge, which each feature ceiling fans, comfortable beds, hot water and free wireless internet. Explore the Tortuguero National Park with your experienced guide to find some fascinating animals and plants, including several different monkeys, colorful birds, and much more. One of the favorite activities at the Tortuga Lodge is to see the sea turtles during their nesting or hatching season, which is when you see the adult turtles climbing the beaches or the baby turtles moving down their beach to begin enter the ocean for their first time. Nesting is between July-October and hatching is from late August-November. Choose from package tours that include lodge transfers, meals, guided tours and cultural visits to the nearby Tortuguero Village. Choose from 3-day, 4-day or 7-day options. Costa Rica’s Cloud Forest is defined as forest at such a high altitude that it’s penetrated by cloud cover. This creates a cooler tropical forest home to a different set of animals and plants from the lowland rainforest. Lush green epiphytes grow on tree branches and the abundant mosses create a magical environment. You will then see many different birds, including the hummingbirds and aracaris. You can also find the animals of the lowland rainforest, including monkeys and even the occasional jaguar. Some recommended lodges in Costa Rica’s cloud forest include El Silencio Lodge & Spa and the Monteverde Lodge. The Monteverde Cloud Forest Reserve is named after the nearby town of Monteverde and protects over 10,000 hectares (25,000 acres) of highly threatened cloud forest. The reserve offers a very high number of hummingbirds and over 500 different orchids. Cloud forest is defined as forest as such a high altitude that it’s penetrated by cloud cover. These forests are one of the world’s most species-rich ecosystems and offer a different environment from lowland rainforest. This reserve is particularly well known for its diversity of different orchids. Enjoy an enchanting environment as you walk the forest trails. With the humid climate, there is also a diversity of amphibians. See many epiphytes sitting and hanging from the branches of tall forest trees creating a different environment from the lowland forests. A comfortable lodge offering package tours in Costa Rica’s cloud forest is the Monteverde Lodge. Enjoy guided tours in the surrounding area led by your experienced naturalist guide. See several different monkeys and many colorful birds from the hundreds found in the region. When back at the lodge, enjoy the solar-heated swimming pool, hummingbird garden, pond and hammock area. The package tours from Monteverde Lodge include your lodge transfers, meals, accommodation and guided tours. Meals are enjoyed in El Jardin Restaurant at Monteverde Lodge prepared with locally sourced ingredients served with homemade breads. Your guides were born in the region and know the animals, plants and area well, which means you will make the most of your experience. Each day, your guide will choose activities and trails suited to the conditions to increase your chances of seeing the most wildlife and making the most of your time at Monteverde. The best way to experience Costa Rica’s rainforest is to enjoy a few days at a rainforest lodge. 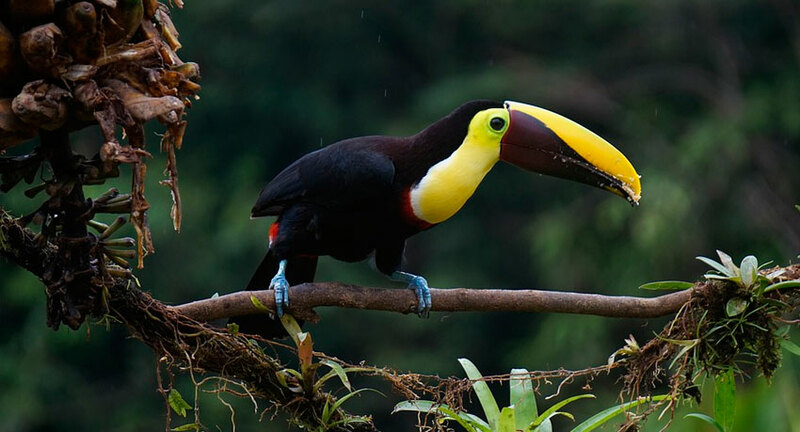 There are many different rainforest lodges in Costa Rica to experience the incredible wildlife. Here, we have selected our recommendations of rainforest lodges in both the lowland rainforest and cloud forest that offer package tours. The package options include transfers to the lodge from a gateway town, comfortable accommodation, freshly prepared meals, guided tours and activities. 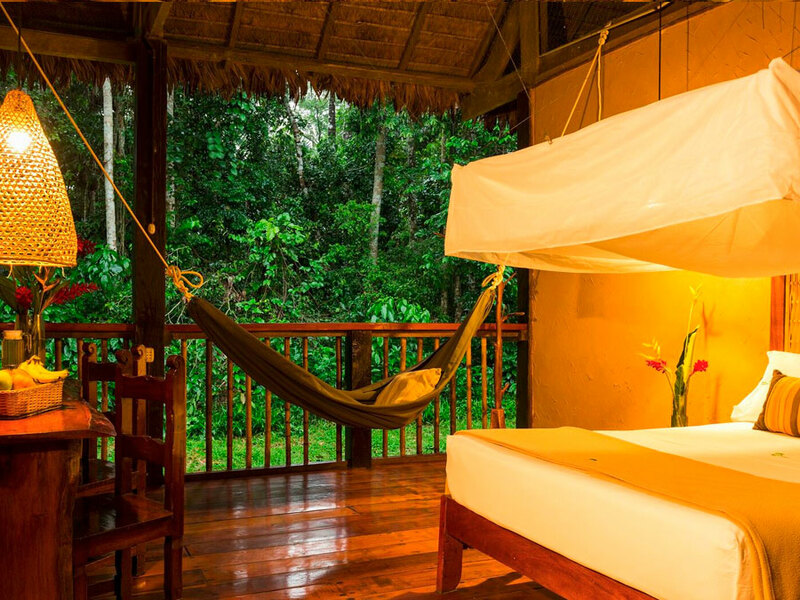 The Lapa Rios Lodge is positioned in a 1,000 acre private rainforest reserve. Providing exceptional views, the lodge is positioned on a ridge overlooking the rainforest and Pacific ocean. There are 17 luxury-class spacious bungalows with private decks and from these you will head out with your highly trained naturalist guide to find some fantastic animals and plants, including colorful parrots, monkeys and medicinal plants. The Pacuare Lodge offers a luxury experience of Costa Rica’s rainforest along the Pacuare River. Enjoy luxury-class accommodation and delicious locally sourced cuisine. In addition to your suites, enjoy a relaxing massage or spa treatment in the Jawa Juü Spa. From the lodge, enjoy a variety of rainforest tours, such as the Cabécar indigenous hike, ancient trail & hidden waterfall hike, and canopy experience. El Silencio Lodge & Spa is another luxury experience in the forested mountains near the Poas Volcano. Positioned in a 500-acre private cloud forest reserve, choose from a variety of luxury accommodation options and enjoy delicious locally sourced meals. In addition to luxury accommodation and delicious food, you can enjoy relaxation treatments in the Esencia Spa. You can also enjoy guided tours through the incredible cloud forest to find many colorful birds, orchids and much more. Enjoy views of Poas Volcano and horse riding. The Origins Luxury Lodge a luxurious experience of Costa Rica’s cloud forest along the beautiful Rio Celeste. In addition to very comfortable accommodation options, enjoy beautiful views and high-quality dishes of Haute Cuisine made from locally sourced ingredients. In addition to luxury accommodation and delicious cuisine, enjoy relaxing massages in the lodge’s spa and guided tours to find a diversity of animals and plants, including hummingbirds, monkeys and different orchids. The Monteverde Lodge offers a comfortable experience in Costa Rica’s cloud forest. Enjoy comfortable accommodation in one of the 28 rooms, a solar-heated swimming pool, hummingbird garden, pond and hammock area. You will then be served fresh and delicious cuisine accompanied with homemade breads. You can then enjoy exploring Costa Rica’s cloud forest led by skilled naturalist guides. Find a diversity of birds, monkeys, orchids and many other animals and plants. La Paloma Lodge is another recommended rainforest lodge and is positioned near the Corcovado National Park, which offers one of the favorite areas of rainforest in Costa RIca. Enjoy comfortable accommodation, fantastic views and cuisine from locally sourced ingredients. You can then enjoy guided tours in the Corcovado National Park, night walks, horse riding, and visit the beautiful Caño Island for incredible snorkeling opportunities. The Playa Nicuesa Rainforest Lodge offers a comfortable place to explore the Costa Rican rainforest. You can choose comfortable suites in the main lodge or the private villas. You can then enjoy fantastic views from the lodge’s treehouse restaurant where you will be served fresh and locally sourced cuisine. In addition to the comfortable accommodation and food explore the rainforest with your naturalist guide to find different animals and plants. Activities to enjoy include swimming, kayaking, snorkeling, paddle boarding, dolphin watching and fishing. The Casa Corcovado Jungle Lodge is positioned in its own private 170 acre reserve of Costa Rican rainforest next to Corcovado National Park. As a different experience, you will also visit a wildlife-rich wetlands. Choose from different suite options and enjoy delicious food and the spring-fed swimming pool. 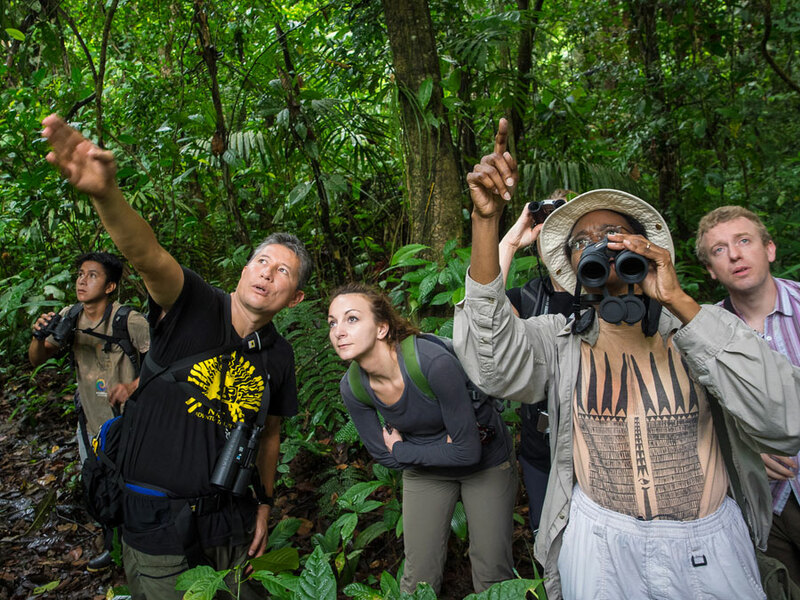 In addition to comfortable accommodation, you will enjoy guided tours in the rainforest both by day and night to see a diversity of birdlife, monkeys, and plants. The Tortuga Lodge offers a comfortable experience of the Tortuguero National Park and Tortuguero Village. The lodge offers a variety of comfortable suites, including comfortable rooms, family suites and the penthouse suite. In addition to comfortable accommodation, enjoy delicious cuisine made from fresh and locally sourced ingredients. You will enjoy guided tours by skilled naturalist guides to find many colorful birds, several different monkeys, and much more. A favorite reason to visit the lodge is to see nesting and hatching of green sea turtles. Nesting is between July-October and hatching is from late August-November. The Tiskita Jungle Lodge started as a tropical fruit farm and now protects a rainforest reserve of 800 acres. The lodge offers nine private cabins and is positioned with easy access to both the rainforest and the beautiful beach. Enjoy delicious meals in the open air dining room. You can often see different parrots and monkeys in the trees around the lodge. However, you will also explore the forest trails with your skilled guide to find colorful birds, several different monkeys, delicate tree frogs and many different plants. The lodge is still a working fruit farm and you can also try many varieties of exotic fruits.